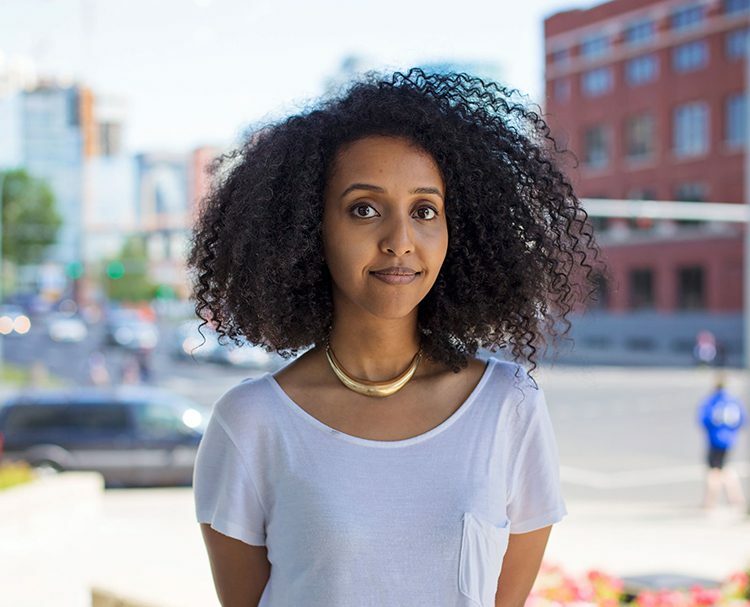 Brnesh Berhe is a graphic designer and freelance writer from Edmonton. She has written for CBC, Vue Weekly, Avenue Edmonton and Afropunk, and while she started her writing career focusing on music and the arts, she has since also focused her attention writing stories that center marginalized voices and communities. With eight years of graphic design experience, some of her clients have included the Make-a-Wish Foundation, the John Humphrey Centre for Peace and Human Rights, and the Council for Alberta University Students. She is a graduate of MacEwan University’s Design Studies program and Simon Fraser University’s New Media Journalism program. In 2012 she started the independent print and online magazine Marker which ran for three years and garnered two AMPA nominations; it covered local and international arts, culture, music and social issues.